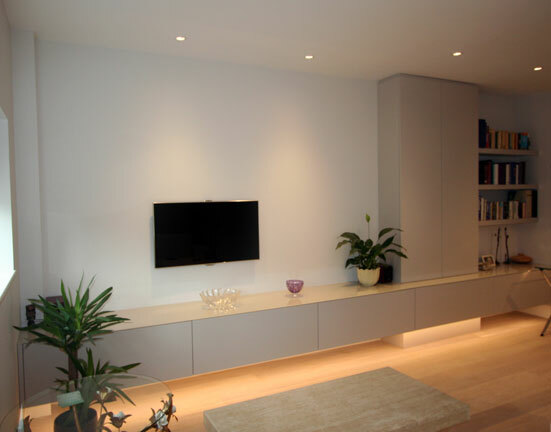 This media unit has a semi matt spray finish and colour coated glass top with led under lighting and push to open drawers. Bedside cabinet with pearl beige spray finish. Mirror faced bathroom cabinets with under cabinet led lighting.